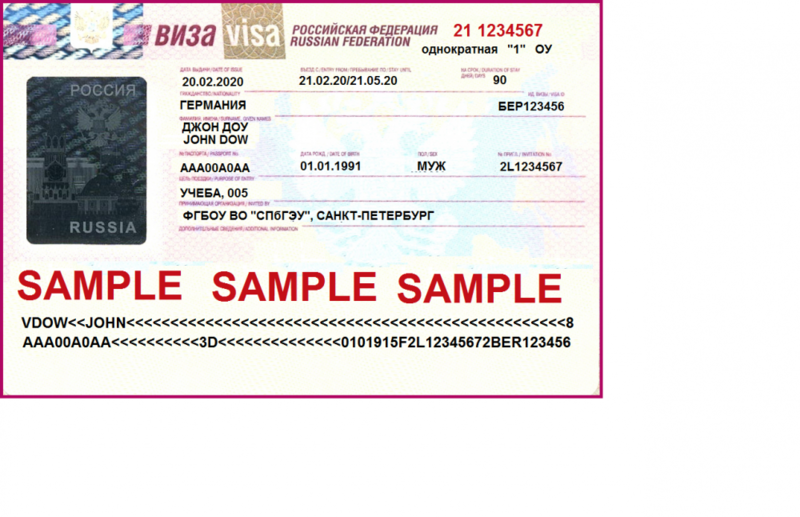 International students outside CIS countries, wishing to come to Russia to study need a "Study Visa" – an entry visa that states “education” as the purpose of entry and specifies the institution of study. As soon as UNECON coordinators receive all the documents they start an Invitation application procedure. This may take up to 5 weeks. 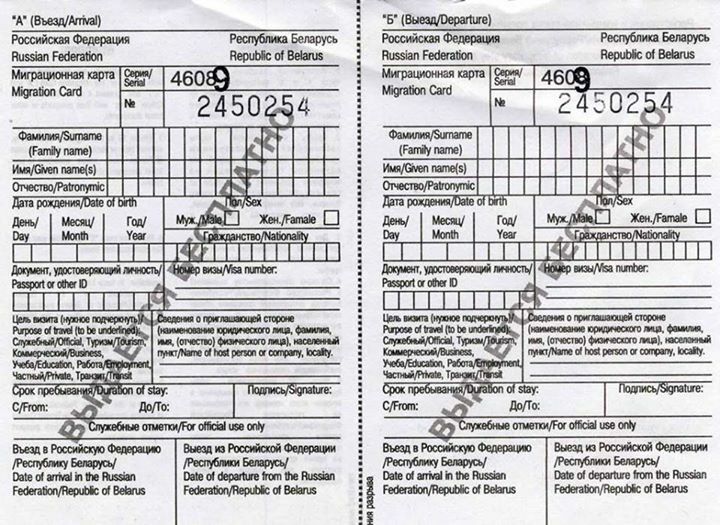 When Invitations are issued by the Migration Service of Saint-Petersburg, students will be sent a scanned copy via e-mail and the original by post. After that students may start applying for a study visa. Consult the local Russian Embassy (Consulate) for the documents needed. NB! 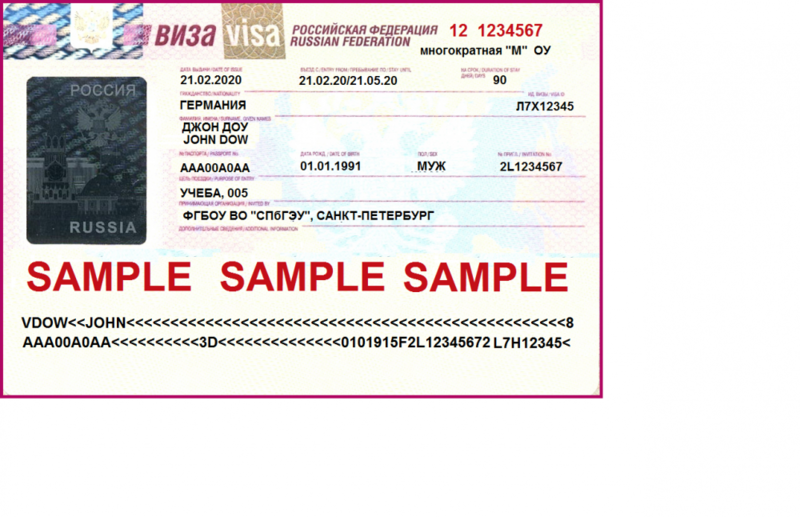 Students should apply for a study visa in the Russian Embassy (Consulates) or authorized visa centers only. Thus, to apply for a visa it’s necessary to find the nearest city with one of these institutions and make an appointment there. Invitations are going to be issued for a single entry visa. During 2 months after the beginning of the semester UNECON coordinators will collect the necessary documents to apply for a multiple entry visa valid till the end of the students’ study period. Thus, after arriving to SPb students won’t have an opportunity to leave the country until they receive a multiple visa, i.e. if students leave when having a one-entry visa they won’t be able to come back. Multiple visa issuing may take up to 5-6 weeks to process. Each student must have an insurance policy covering the whole study period (translation into Russian is not required). Registration is obligatory in Russia for every person. Coordinators of UNECON International Department assist students with registration. 1. 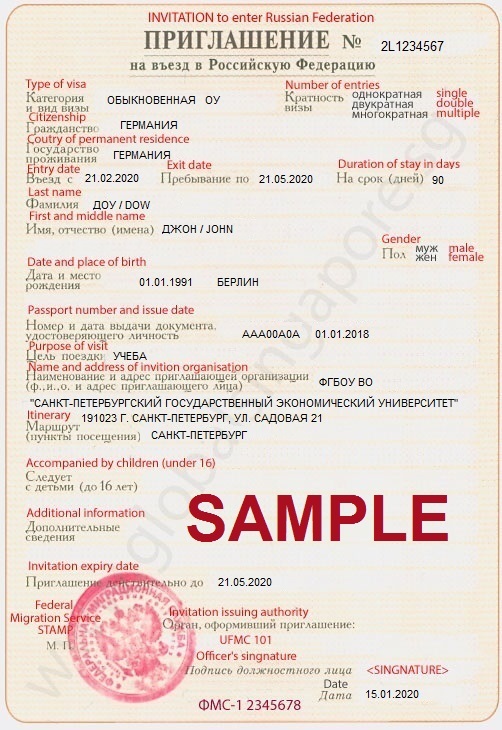 Foreign citizens, who arrived in RF, are obliged within 24 hours (excluding holidays and days off) to hand in their national passports and migration cards, marked by Border Control Department to the International Department. 2. Foreign citizens are obliged to renew or to substitute their national passport in case they are invalid and to present them to the International Department. 3. In case of necessity to go abroad or to travel around Russia foreign citizens should come to the International Department to sign an acknowledgement not later than 3 days before the supposed date of departure. 4. In case a foreign citizen stays for at least one night in a hotel/hostel he/she should ask for the copy of the registration made in this hostel/hotel and bring it back with them to the International Department within 24 hours. 5. Coming back from abroad/other cities of Russia foreign citizens must within 24 hours bring their passports and migration cards to the International Department. 6. In case of change of the place of residence on the territory of St. Petersburg a foreign citizen is obliged to inform within 24 hours (excluding holidays and days off) the International Department. 7. Leaving St. Petersburg for some other place in Russia, a foreign citizen must inform the administration about the territory of his/her assumed visit. 8. After finishing the international program (or in case of discharge) foreign citizens must leave the territory of RF before his/her visa expires. In case of loss of national documents, foreign citizens must immediately apply to the Police Office, nearest to the place, where the documents were lost or the loss was discovered, and inform the administration of the International Department. Foreign citizens, who committed crime, administrative or any kind of offence, are responsible for the actions as well as the citizens of RF are. In case of violation of visit regulations foreign citizens take responsibility for these actions according to the same rules and regulations as citizens RF do. The following measures can be taken: administrative fine, administration extradition, deportation.